Why are we wasting time? Are we propping up brutality in Iran? Having a bit of Thiabendazole with that apple? Does your TV watching drive needless consumerism? What does the future climate of the US look like? Sassen @ URS 1: Intro from openalex on Vimeo. To see the rest of the talk go to Open Alex. "With the caloric needs of the planet expected to soar by 50 percent in the next 40 years, planning and investment in global agriculture will become critically important, according a new report released June 25. The report, produced by Deutsche Bank, one of the world’s leading global investment banks, in collaboration with the University of Wisconsin-Madison’s Nelson Institute for Environmental Studies, provides a framework for investing in sustainable agriculture against a backdrop of massive population growth and escalating demands for food, fiber and fuel…. By 2050, world population is expected to exceed 9 billion people, up from 6.5 billion today. Already, according to the report, a gap is emerging between agricultural production and demand, and the disconnect is expected to be amplified by climate change, increasing demand for biofuels, and a growing scarcity of water." What concerns me is the inevitable pressure to continue to rely on unsustainable agricultural practices in the face of shortages. I noticed that in the recent climate and energy bill, Waxman Markey, agriculture was exempted from emissions reductions. I understand the politics of this, regrettable as that is, but I can't condone exempting a sector of the economy that produces so much pollution and is so unsustainable. Until we expect agriculture, just as any other industry, to clean up it's act we are vulnerable to the added impetus it adds to climate change. Add to that the mentality that business as usual, ie petrochemically reliant agribusiness, can continue in the face of peak oil and we accept the inevitable drastic downturn in production as cheap oil supply crashes. We should also consider that our food supply is largely controlled by multinational corporations with no loyalty to any nation and but one mission, profit at any cost. This situation has already led to rising rates of obesity and diabetes in the developed world and shortages, disastrous reliance on chemicals, and malnutrition in the developing world as they try to satisfy the world commodity markets insatiable demand for profits. The choice seems clear. We need to shift to sustainable agricultural practices worldwide ASAP. As this progresses we should all pursue the relocalization of the food supply in the interest of better nutrition, better health, higher levels of food security, and more resilient communities. "Declining EROI means that the net energy contained in each unit of energy delivered to society is decreasing over time, requiring the extraction of increasingly greater quantities just to meet societal demand, decreases the quantity of energy remaining in the ground for future society, makes it more difficult to find and develop the remaining bit of energy. With every barrel we pull out of the ground we propel ourselves further down this path, creating a more difficult situation for future generations." "Since 1981, the quantity of oil extracted has exceeded new discoveries by an ever-widening margin. In 2008, the world pumped 31 billion barrels of oil but discovered fewer than 9 billion barrels of new oil. World reserves of conventional oil are in a free fall, dropping every year." So why are wasting time? Why am I? Why are you? Start a transition initiative to get yourself and your community off of the oil addiction turntable. Walk, ride a bike, use public transport. Convert your house to use renewable energy. Find an occupation that is not dependent on fossil fuels. Invest in resilience not in consumerism. The scale of change required is huge. The sooner we get started the more likely we will succeed. Do something to make a difference. Here's the transcript from one segment of this weeks episode from the Living on Earth series from PRI. The interviewer is Steve Curwood. "CURWOOD: But even if it proves to be economical to capture carbon, controversy still dogs coal. Campaigners – including actress Darryl Hannah and climate scientist James Hansen - have taken their protests to West Virginia's coal country and gotten arrested – why? HANSEN: First we believe that no child's health and safety are expendable for the expediency of a dirty energy source. CURWOOD: Professor Hendryx, now as I understand it to calculate this you didn't actually look at the costs they spent on health care or lost opportunities but rather you used something that's known as the value of a statistical life, this particular standard. Tell me about that. HENDRYX: The way that the value of statistical life or VSL is estimated is through I think a pretty ingenious type of a study design where you ask people, "suppose there was an illness that had a one in 10,000 chance of killing you. How much would you be willing to spend yourself to eliminate that risk?" And let's say that people on average in a given study say $600, which a type of a reasonable or typical estimate that people will give. Then ten thousand people together will spend six million to save one life. So it's a way to estimate what society itself values. And we used a range of those estimates and then looked at the number of excess deaths that occur every year in coal mining areas of Appalachia versus non-mining area. HENDRYX: That's right. The years 1997 through 2005, translate to over 10,000 excess deaths every year, and we attribute that difference to higher poverty rates in mining area, and also to differences probably in environmental exposures and pollution from activities in the mining industry. HENDRYX: Well, the first image that comes to mind maybe is a town called Whitesville in Boone County. If you drive through the downtown of Whitesville, you'll see that there will be coal dust on the buildings themselves, on the outdoor furniture, on the vehicles. You'll notice a lot of empty storefronts and empty streets and not a lot of business or economic activity taking place. I don't want to pick on one town, but that's the one that comes to mind. I don't want to pick on the people that live there because they're wonderful. CURWOOD: Now, this isn't a comfortable question to ask, but some would say – look, these communities are very poor, those people might not pay $600 to avoid a one in 10,000 of dying. They don't have any money, they might not pay anything. And the bottom line being, well, human life is maybe worth a lot less in Appalachia in these poor areas. HENDRYX: Well, I would disagree with that on ethical and moral grounds. But, some people who live there view that their lives are valued less than people who live somewhere else, and that in a way its hard to argue with that. It seems like coal-mining areas in Appalachia are—to us a phrase that's been used "America's Sacrifice Zone" That their lives are expendable so other people somewhere else can have cheap electricity. I find that appalling. CURWOOD: The federal government's gonna put a lot of money into carbon capture and sequestration from coal fired power plants. How advisable do you think that program is in light of your research? HENDRYX: I think its one of the dumbest things that they've ever attempted to do. I don't think the evidence is very good that we can implement a scalable carbon capture and storage system that can really be a serious way to deal with CO2 emissions. But even if we could, that addresses only how coal is burned. It doesn't say anything about how it's extracted, processed or transported prior to burning. And carbon capture and storage systems will do nothing to change the conditions in coal mining areas of Appalachia. We have to realize as well that the estimates that come out from the U.S. Geological Survey are that West Virginia will peak in a its coal production in probably less than twenty years. So we really don't have any choice. We can sit around and do nothing and wait for that to happen, or we can begin now to plan and implement serious economic diversification programs. I think that should be a top priority for the state and the nation and even the local community leaders. 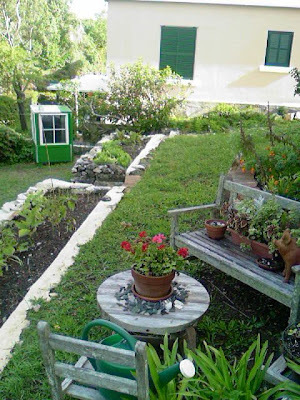 This is the first garden, organic of course, I helped establish in Bermuda. On the right, behind the bench is the first bed, it was already full of soil and ornamentals. We planted lemon balm, parsley, bell peppers, marigolds, mesclun mix, jalapenos, kale, and red lettuce and are still harvesting from it. The bed farthest from the camera was next. Built from recycled Bermuda limestone, we lined it with cardboard and imported lots of compost from the local horticultural waste dump site. We planted romaine lettuce, swiss chard, arugula, marigolds, mesclun mix and onions. We are still harvesting the lettuce, mesclun and swiss chard but the onions didn't do so good. I think we should have sourced some soil to mix with the compost. The third bed, built in the same manner got some composted horse manure added to some sections. The onions appear to be doing better here. We've also planted eggplant, cayenne pepper, bell pepper, musk melon and tomatoe. It's a bit early to tell but it seems to be doing OK. In the distance on the left is the solar hot water heater. We've also planted up some wooden wine boxes with basil and parsley, partially shaded, which have continued to produce. A large pot has yielded kale and chives. 4 garlic bulbs mysteriously disappeared thought they were doing well. Elswhere in the yard are 5 banana plants, some lemon grass, a few more tomatoes and the composting and leaf mould bins built earlier on and covered in an previous post. I reckon this garden has produced 3 to 5 large salads per week since we started harvesting in May. I've especially enjoyed adding the jalapenos to anything and everything. Here are some basic gardening tips I found posted over on Climate Progress. You can read more details about them there. "Plant only what you can maintain. Overplanting will give you a headache and squander water, money, and other resources. Compost your waste. Composting prevents yard trimmings, food scraps, and other household waste from entering landfills and reduces the need for watering by improving your soil’s water retention. Ditch the pesticides and chemical fertilizers. Pesticides and fertilizers can pollute ground water and turn your fruits and vegetables toxic. Water smarter. Water in the mornings or at night and not during the day because the afternoon’s intense sunlight will cause water to evaporate. Avoid annuals. Most annual flowers, such as petunias or impatiens, have shallower root systems than perennials. Deep root systems allow plants to tap into water deep within the soil and survive with infrequent watering after they are established. Stick with native and indigenous plants. Exotic plants typically need more water than native varieties. Start an herb garden. Planting herbs can be the most economical decision you make with your garden, and they can save you trips to the grocery store. " Continuing the theme of respecting water that I laid out in my previous post "Some thoughts about water". Thanks to Worldchanging for the heads up on this innovative design. 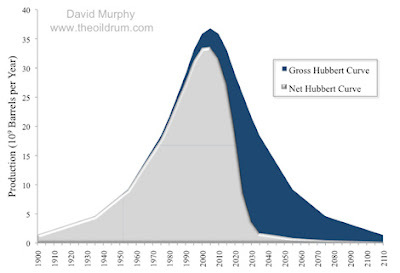 David Murphy at The Oil Drum gave an interesting analysis of the Net Hubbert Curve this week. He bases his predictions on a report from Cutler Cleveland of Boston University about the sharp decline in EROI (energy return on investment) -- in other words, it now requires much more energy to extract energy that we can use. Specifically, the report says, EROI has declined (in the U.S.) from 100:1 in the 1930s to 11:1 as of 2000. How did we go from spending 1 barrel of oil per 100 to spending the same amount for a mere 11? Well, Murphy explains, as we use more and more of the world's oil reserves, the remaining oil is much more difficult to extract. This we knew. But Murphy takes this equation to the Hubbert Curve to produce an new curve, showing that post-peak oil, we don't actually have half the world's reserves left in net energy. We actually have much less. The implications of these results are vast, but in general, declining EROI is going to make it very difficult to meet the net energy needs of future society. Although this study may not be very precise, it does imply that if we have reached Peak Oil (and I think we have), that society has already spent quite a bit more than half of the net (or discretionary) oil energy that will ever be available." “MISTAKEN, APPALLING, AND DANGEROUS” is how the Transition Initiative has been described, which is the kind of criticism you covet, knowing that the speaker is an oil industry professional and author of The Myth of the Oil Crisis. Others have criticized it for being insufficiently confrontational. There are also criticisms from within: a tension between those who prefer fast action and those who prefer slow consideration, for the movement is both urgent and slow. It is transformatively sudden, and yet uses the subtle, tentative questioning of long dialogues within communities, a very slow process of building a network of relationships within the whole community. In the language of climate change science, there are many tipping points, where slow causations are suddenly expressed in dramatic, negative consequences. The conference I attended when I met the scientist speaking of his unhappy son was called Tipping Point, and in a sense the Transition Initiative places itself as a social tipping point, with dramatic and positive consequences where the sudden wisdom of communities breaks through the stolid unwisdom of national government. “We’re doing work for generations to come,” says Giangrande. You can’t change a place overnight, he says, but you have to begin now in the necessary urgency of our time. “We’re facing a historical moment of choice—our actions now [are] affecting the future. Now’s the time. The system we know is breaking down. Yet out of this breakdown, there are always new possibilities.” It’s catagenesis, the birth of the new from the death of the old. The process is “so creative and so chaotic,” says Giangrande. “Let it unfold—allow it—the key is not to direct it but to encourage it. We’ve developed the A to C of transition. The D to Z is still to come.” Brave, this, and very attractive. It is catalytic, emergent, and dynamic, facing forward with a vivid vitality but backlit with another kind of ancient sunlight: human, social energy. " Thanks to Rob Hopkins over at Transition Culture for the heads up on this. Friedman's column, "The Green Revolution(s)," is well worth reading. He points out that we could effect change in Iran and other petro-dictatorships simply by cutting our oil use. And the way to achieve that, he says, is to impose ". 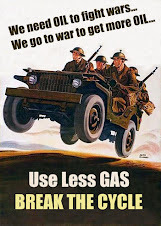 . . an immediate “Freedom Tax” of $1 a gallon on gasoline — with rebates to the poor and elderly — [It] would be a triple positive: It would stimulate more investment in renewable energy now; it would stimulate more consumer demand for the energy-efficient vehicles that the reborn General Motors and Chrysler are supposed to make; and, it would reduce our oil imports in a way that would surely affect the global price and weaken every petro-dictator." Probably, Thiabendazole residue, a probable carcinogen, is found 87.9% of the time on non organic apples as determined by the USDA. The neurotoxin Azinphos methyl is found 31.8% of the time. Yummmmmm........ And you can't count on washing to remove these contaminants. If you suspect that contamination somehow magically disappears during processing, check out peanut butter, Piperonyl butoxide, a suspected carcinogen and hormone disruptor, is found 26.9% of the time. DCPA, a suspected hormone disruptor, is found in Broccoli 50.3% of the time. Boscalid a suspected carcinogen is found 64.8% of the time in cherries. DDE p,p' a known carcinogen is found in Kale 41.7% of the time. I could go on all day but the point is clear. Go Organic! for your own health and the health of the planet. Find out what dangerous chemicals are on your produce over at What's on My Food a project of the Pesticide Action Network. The average child gets 5+ servings of pesticides in their food and water each day. The pesticide Atrazine is so toxic it is banned in Europe, but it is used so widely in the U.S., that it is found in 71% of the U.S. drinking water. Currently, over 400 pesticides can be legally used in the U.S. For example, apples can be sprayed up to 16 times with 36 different pesticides. None of these chemicals are present in organic foods. According to the US Department of Health and Human Services, organophosphate pesticides (OP) are now found in the blood of 95% of Americans tested, and the levels are twice as high in blood samples taken from children. Exposure to OPs is linked to hyperactivity, behavior disorders, learning disabilities, developmental delays and motor dysfunction. This entry by Jennifer B. Freeman in the online book "Thoreau's Legacy; American Stories about Global Warming" published by the Union of Concerned Scientists struck me as a wonderfully simple thing to do to enhance the sustainability of your neighborhood. The stats are amazing. "Just before Thanksgiving, my family gave a holiday present to our New York apartment building. It started with a box in the lobby and a sign offering to cancel any catalogs that were put inside. Our plan was to encourage our neighbors to think a little and help save some trees. To make a difference in the fight against global warming, you have to work on many levels: change your light bulbs, write to your senator, talk to your neighbor, and walk in the woods to remember what it's all for. The next day the box began to fill up. Four inches of catalogs, then eight inches. Buried in the stacks we found Post-its bearing notes of gratitude. At first the calling part was all me. My kids decorated the box, wrote the sign with colored markers, and carried the catalogs upstairs. But making phone calls seemed at first to be a grownup job. By the second week the volume was overwhelming. Catalogs come in an astonishing variety: children's clothing, smoked hams, toys, diamond jewelry, hiking gear. On a day off from school, one of my sons dared to make a catalog-canceling call, to feel the prankish thrill of phoning a grownup and pretending to be someone else. Leo learned a lot that day: that it's better to talk to a live person, that you can ask for a live person even if the robo-prompt tries to steer you to an automated system, that you don't have to give your phone number just because a grownup asks you to. That afternoon my older son joined in. The apartment sounded like a call center. "I'd like to be taken off the mailing list please?" "You mean the number in the yellow box?" "The first name is Caroline, C-a-r-o-l-i …"
That day the members of our household canceled eighty-five catalogs on behalf of the neighbors. The project cost time and effort; each of us sacrificed. In short, it brought the true spirit of giving into our home. A slippery heap of canceled catalogs on the floor was tribute to our labors. Every year, 19 billion catalogs are mailed in America. Catalogs use 3.6 million tons of paper, for which 53 million trees are cut down. Producing catalogs causes the release of 5.2 million tons of carbon dioxide into the atmosphere (equal to about 2 million cars on the road) and uses 53 billion gallons of water. People should be able to receive the catalogs they want, but they should cancel the ones they don't want. According to industry statistics, about 98 percent of catalogs go straight into the recycling bin or the landfill. As we obsess about war and political unrest in far flung locales, the good work goes on, largely unreported. Here's a story you are not likely to see on CNN. As reported at Huffington Post by Jeff Biggers. "I am not a politician; I am a scientist and a citizen," said Dr. James Hansen. "Politicians may have to advocate for halfway measures if they choose. But it is our responsibility to make sure our representatives feel the full force of citizens who speak for what is right, not what is politically expedient. Mountaintop removal, providing only a small fraction of our energy, should be abolished." UPDATE: 6pm EST. Goldman Prize Award Winner Attacked. During the rally in front of the Massey Energy coal property today, Coal River Mountain Watch co-director (and 2003 Goldman Prize Award winner) Judy Bonds was reportedly assaulted by a Massey supporter. While Bonds was engaged in a nonviolent protest, the Massey supporter lunged from the line without any provocation and roughly slapped Bonds on the head, ear and jaw. The Massey supporter also attempted an attack on another protestor, Lorelei Scarbro, a coal miner's widow and local community organizer. The Massey supporter was immedidately apprehended by the police and charged with battery, according to news reports." Please go to the Huffington Post article for more.
" We find ourselves in a chapter of history I would entitle "Isolation and Efficiency, and How They Came Around to Bite Us in the Backside." We're ravaged by disagreements, bizarrely globalized, with the extravagant excesses of one culture washing up as famine or flood on the shores of another. Even the architecture of our planet—climate, oceans, migratory paths, things we believed were independent of human affairs—is collapsing under the weight of our efficient productivity. Twenty years ago, climate scientists first told Congress that carbon emissions were building toward a disastrous instability. Congress said, We need to think about that. Ten years later, the world's nations wrote the Kyoto Protocol, a set of legally binding controls on our carbon emissions. The United States said, We still need to think about it. Now we watch as glaciers disappear, the lights of biodiversity go out, the oceans reverse their ancient order. A few degrees look so small on the thermometer. We are so good at measuring things and declaring them under control. How could our weather turn murderous, pummel our coasts, push new diseases like dengue fever onto our doorstep? It's an emergency on a scale we've never known, and we've responded by following the rules we know: efficiency, isolation. We can't slow productivity and consumption—that's unthinkable. Can't we just go home and put a really big lock on the door? Not this time. Our paradigm has met its match. Now we can either shift away from a carbon-based economy or find another place to live. Imagine it: we raised our children on a lie. We gave them this world and promised they could keep it running on a fossil substance—dinosaur slime—and it's running out. The geologists disagree only on how much is left, and the climate scientists now say they're sorry, but that's not even the point: we won't have time to use it all. To stabilize the floods and firestorms, we'll have to reduce our carbon emissions by 80 percent within a few decades.... The arc of history is longer than human vision. It bends. We abolished slavery, we granted universal suffrage. We have done hard things before. Each time it took a terrible fight between people who could not imagine changing the rules and those who said, "We already did. We have made the world new." The hardest part will be to convince ourselves of the possibilities and hang on. If we run out of hope at the end of the day, we'll rise in the morning and put it on again with our shoes. Hope is the only reason we won't burn what's left of the ship and go down with it. If somebody says, "Your money or your life," you can say, "Life." And mean it." As Transition gains momentum in various communities across the US it is appearing in the media more and more. Here are some excerpts, posted by key concepts, from a paper in northern California. Read the whole article at Bohemian.com. Thanks to Rob Hopkins over at Transition Culture for the heads up on this. "Three years ago, David Fridley purchased two and a half acres of land in rural Sonoma County. He planted drought-resistant blue Zuni corn, fruit trees and basic vegetables while leaving a full acre of extant forest for firewood collection. Today, Fridley and several friends and family subsist almost entirely off this small plot of land, with the surplus going to public charity. But Fridley is hardly a homegrown hippie who spends his leisure time gardening. He spent 12 years consulting for the oil industry in Asia. He is now a staff scientist at Lawrence Berkeley National Laboratory and a fellow of the Post Carbon Institute in Sebastopol, where members discuss the problems inherent to fossil-fuel dependency. Fridley has his doubts about renewable energies, and he has grave doubts about the future of crude oil. In fact, he believes to a certainty that society is literally running out of gas and that, perhaps within years, the trucks will stop rolling into Safeway and the only reliable food available will be that grown in our backyards.... "If you are a typical American and have expectations of increasing income, cheap food, nondiscretionary spending, leisure time and vacations in Hawaii, then the change we expect soon could be what you would consider 'doom,'" he says soberly, "because your life is going to fall apart." "But is it the end of the world? Fridley and other supporters of the Transition movement don't believe it is. First sparked in 2007 in Totnes, England, Transition was launched when one Rob Hopkins recognized that modern Western society cannot continue at its current pace of life as fast access to oil begins to dwindle. Global warming and economic meltdown are the two other principle drivers of the Transition movement, but in an ideal "Transition Town," society would be ready for such changes. With limited gas-powered transport or oil-based products, a Transition community's citizens would live within cycling distance of one another in a township built upon complete self-sufficiency, with extremely localized infrastructure for agriculture, clothes making, metal working and the other basics of life which the Western world largely abandoned to factories in the late 1800s, when oil power turned life into a relatively leisurely vacation from reality. Transition Sebastopol was born in 2008 as the ninth Transition Town in the United States. Boulder was the first; Sandpoint, Idaho, the second. Today, 27 Transition Towns, also called Initiatives, have assumed life across the nation, and what began as an idea has become a concrete reality in which people are taking action. In particular, McKeown has seen tremendous community interest in the growing of food. Currently, the average parcel of food comes from untold distances away. The common estimate is 1,500 miles, though some experts assure that most food travels much farther. Such external dependence will no longer be feasible after peak oil, and communities must be capable of producing all their own goods in fields, orchards and gardens within miles. In and around Totnes, for example, community nut trees have been planted as a sure source of protein and calories in an uncertain future. In outlying regions of the Bay Area, backyard food production is already an after-work hobby for thousands, and interest in edible gardens appears to be growing fast. At Harmony Farm Supply in Sebastopol, demand for edible plant seeds, starters and saplings has never been greater, according to nursery manager Kirsten Tripplett. She estimates that sales of lettuce, kale and tomato seedlings has jumped by 25 percent this year, with a particularly large portion of sales going to customers who have never before gardened. Fruit and nut saplings, too, sold out weeks ahead of schedule this winter. "My reading is that this is the silver lining to the economy going south," she says. McKeown, though, calls food production "the entry-level thing to do" among Transitionists; other essential actions must be taken for a Transition Town to cushion itself against the drastic changes predicted in post-oil society. A viable Transition Town must be capable of producing its own materials, tools and other products that society now imports from half the globe away. With machines and factories no longer readily available, almost every citizen would need to participate at some level in production of food, energy and goods." "Yet it was only a little over a century ago that society first got swept up on the thrilling wave of oil-age progress. In the 1850s, societies functioned largely as local entities, without deep reliance on global economies or crude oil. Many, if not most, Americans lived on or near farms. We knew how to labor with our hands and feed ourselves. In short, people worked—and our elders can just about remember that era. In fact, The Transition Handbook includes a chapter titled "Honoring the Elders," urging Transitionists to dredge from old-timers information and anecdotes from the days before cheap oil. McKeown is currently at work on such a project for Transition Sebastopol, seeking out locals in their 80s and 90s who were young adults during or before the Great Depression. "It would do us good to talk with these people who remember what it was like to live in a pre-hyperconsumption era," he says. Michael Levy, a private music teacher who helped found Transition Santa Cruz last summer, agrees that scaling back on individual consumption is among the most fundamental of actions in the Transition movement. "Most of us don't know how to grow food or preserve food so that we can have things in the winter that grow in the summer. We also don't know how to make basic things, like structures and buildings. Even simple tasks like repairing clothes, we just don't even bother anymore. We've become a throwaway society." With peak oil and economic ruin looming over us like teetering skyscrapers, Transitionists argue that we can no longer afford such wastefulness. For a while, perhaps even a few more years, this matter may remain one of individual choice and lifestyle, but eventually prices will rise, imported products will begin dwindling from shelves, and we will have no choice but to move into a new era. Fridley says too many Americans believe in solutions to all problems, but peak oil is a terrible anomaly among crises, he explains, because there is no solution. Fridley doesn't even see any hope in solar, wind, water and other renewable energy sources. Even nuclear power creates only electricity, while crude oil is the basis for thousands of synthetic products. Historically, too, oil has been very easy to get since the world's first well was drilled in Pennsylvania in 1859; for each barrel's worth of energy invested in the process of accessing crude oil, 30 barrels are produced, says Fridley. By contrast, ethanol is a paltry substitute; each barrel's worth of ethanol invested in ethanol production produces a mere 1.2 barrels of raw product. Other renewables offer similarly poor returns. "The thermodynamics just don't add up," Fridley says. Put another way, societies of the pre–oil age worked their butts off. They had to. Roughly 90 percent of the population toiled in jobs that produced our energy, food and water, while just 10 percent reaped the rewards, holding soft-palmed positions in politics, the arts, begging and prostitution, to name several fields. Today, by contrast, merely 5 percent of Americans work jobs that relate to producing food and energy, while 95 percent reap the rewards, many working at abstract tasks in offices. In a world suddenly without machine labor, this top-heavy imbalance is poised to capsize." "Fridley does not see peak oil as doomsday, though he predicts that there might be "die-off," just as marine algae bloom and crash periodically. In fact, Fridley views Transition as a process of world improvement. The environment around us has been falling apart for decades due to our excessive lifestyles, he notes. In our oceans and wildlands, doomsday has already arrived with deforestation, water pollution, fisheries collapse, extinction and other plagues. Peak oil presents an urgent cause to rethink and reshape our lives and the world for the better, he says. Jennifer Gray, who founded Transition United States in Sebastopol two years ago, also believes peak oil could open doors to happiness that most Americans never knew were there. A native of the United Kingdom, Gray moved to Mill Valley in 2007 after helping to get Transition rolling in Totnes. She believes that redefinition of wealth is one of the essentials to the Transition movement. While Transitionists see the coming change as one of potential enrichment—community gardens, cycling, skilled artisans at every corner—Savinar's outlook is a bleak and shadowy contrast. He warns that in the foreseeable future the world will experience "staggering horror." While life in remembered times has been about "the pursuit of victory and money," life in the near future, he predicts, "will be about tragedy. We've been able to externalize this reality to the future and to other places only because we had access to this incredibly dense source of energy," he says. No longer. Savinar can't say when, but he believes that a time will come well within just one generation when even supermarkets must close their doors. Then, unless the goal of Transition—to build resilience into communities—takes effect soon, chaos could only ensue in a culture so spoiled by excess and mass consumption as ours. In the North Bay, says the Post Carbon Institute's Miller, residents have the open space, the soil, the sun, the water and the resources to hit the ground running when peak oil arrives. What the community doesn't have, he says, is a full collective understanding of how much people need to cut back on individual consumption and how quickly they need to do it. Savinar says too many people's happiness depends dearly on external items and flimsy concepts of wealth. These people must reprioritize their value systems now and quit "waddling through Wal-Mart." They must wean themselves from the comforts of supermarkets, leisure time and television. They—we—must forfeit luxuries; instead of feasting on steak, one may have to give thanks to a plate of beans and rice. Instead of vacations to Europe, we might have to settle for camping weekends at Salt Point State Park. Because, if the predictions are true, we will not always have Paris. "Fridley also believes assistance will not come from the world's leaders. Transition can only be a grass-roots revolution. He points out that Secretary of Energy Steven Chu was previously the director of Lawrence Berkeley National Laboratory, where Fridley has done much of his thinking about peak oil and Transition. "[Chu] was my boss," Fridley says. 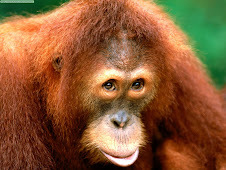 "He knows all about peak oil, but he can't talk about it. If the government announced that peak oil was threatening our economy, Wall Street would crash. He just can't say anything about it." Thus, world leaders would like to have the populace believe that this oil-age feeding frenzy will continue forever, that the economy will continue to expand and grow. At the 2008 G-8 Summit on the Japanese island of Hokkaido, for example, our leaders declared a resolution to resume economic growth. Fridley says such a goal is impossible, yet no one wants to face the fact. I've noticed that many folks will economize on many things, used cars, used computers, clothes lines instead of dryers, but when it comes to television only the latest and greatest will do. Why is this? "We don’t have the money or the desire to race out to some superstore and purchase the latest generation of television. To my family, television is television. It’s not an experience. We don’t have cable. We’re very predictable; PBS, CBS Sunday Morning with Charles Osgood, 60 Minutes and maybe an evening show if we’re too dog-tired to read to the kids. 60 Minutes comes from my childhood with my grandfather and we would watch Mutual of Omaha’s Wild Kingdom beforehand. Now my girls and I watch PBS’s Nature after 60 Minutes. Good to know that some things stay roughly the same they just might get shuffled about. My husband, Mr. Golightly, quickly solved our problem. He took a television he’d bought at a thrift store for $20 a few years back from his garage workshop and replaced the toasted telly. He likes to watch football games while he does manly things that involve power tools which occasionally result in stitches in this workshop.... My grandparents just replaced their clothes washer of over thirty years. In the last ten years, I’ve gone through three. Things are wickedly wrong. How can we feel so at ease tossing huge things like clothes washer/dryers, televisions, PC monitors over our shoulder and buying more just to add that to the waste stream in a few short years? "The project on the holiday island of Bornholm will use the batteries of parked electric cars to store excess energy when the wind blows hard, and then feed electricity back into the grid when the weather is calm. The concept, known as vehicle-to-grid (V2G) is widely cited among greens as a key step towards a low-carbon future, but has never been demonstrated. Now, the 40,000 inhabitants of Bornholm are being recruited into the experiment. Denmark is already a world leader in wind energy and has schemes to replace 10% of all its vehicles with electric cars, but the goal on the island is to replace all petrol cars. Currently 20% of the island's electricity comes from wind, even though it has enough turbines installed to meet 40% of its needs. The reason it cannot use the entire capacity is the intermittency of the wind: many turbines are needed to harness sufficient power in breezes, but when gales blow the grid would overload, so some turbines are disconnected. So the aim of the awkwardly named Electric Vehicles in a Distributed and Integrated Market using Sustainable Energy and Open Networks Project – Edison for short – is to use V2G to allow more turbines to be built and provide up to 50% of the island's supply without making the grid crash. you guys for sticking with us. the garden, can you imagine how thriving that garden is, just how much food grew from a few little seeds and some plantings. So this was a big dream of mine for a while, and it's been so much fun working with you all. But I also thought that this would be a fun and interesting way to talk to kids about healthy eating and nutrition. The President and Congress are going to begin to address health care reform, and these issues of nutrition and wellness and preventative care is going to be the focus of a lot of conversation coming up in the weeks and months to come. And these are issues that I care deeply about, especially when they affect America's children. Obesity, diabetes, heart disease, high-blood pressure are all diet-related health issues that cost this country more than $120 billion each year. That's a lot of money. While the dollar figure is shocking in and of itself, the effect on our children's health is even more profound. Nearly a third of the children in this country are either overweight or obese, and a third will suffer from diabetes at some point in their lifetime. In Hispanic and African American communities, those numbers climb even higher so that nearly half of the children in those communities will suffer the same fate. Those numbers are unacceptable. And for the first time in the history of our nation, a nation that is one of the wealthiest on the planet, medical experts have warned that our younger generation may be on track to have a shorter life span than their parents as a direct result of the obesity epidemic. Again, that is just unacceptable. nutritional value, and they're not getting enough exercise. It's plain and simple: They're not eating right and they're not moving their bodies at all. The way we eat has changed substantially since I was a little girl, and as I joke, I don't think that was that long ago. Yeah. They still think I'm old. But I'm not. But when I was growing up, fast food was a rarity. It wasn't something you did every day. It was a special treat, and we would beg to get it, and it was exciting if we drove into a fast food place and got a hamburger. We were thrilled. It was like Christmas. Desserts were for special occasions. We didn't get dessert every night. And we didn't have dessert several times a day. Eating out was a luxury because at least in my family we couldn't afford it. If we got pizza on a Friday night, that was a treat. And sitting around the dinner table as a family was something that we did all the time. That was the norm, just not in my household but in the households of neighborhoods .... You stopped playing and you went home and you ate dinner with your family, and then you could come back out and play. And I have to admit that I never really thought about health and nutrition, not as a kid, really. But what made me think about nutrition was when I became a mother, because I certainly didn't think about it for myself. But as a mother, with the help of our kids' doctor, I became much more aware of the need for my kids to eat healthy. Like adults, kids have a very simple approach to food. What do you guys like about food? If it tastes good, right? MRS. OBAMA: If it tastes good, you'll eat it, right? You don't care what it is!? How many people pulled a snap pea off the vine and ate it today? And it was pretty good, right? very short period of time that we felt much better and we had more energy, right? And so I wanted to share this little piece of experience that I had with the rest of the nation, a wider audience, which is what brings us here today. This gorgeous and bountiful garden that you saw over there has given us the chance to not just have some fun, which we've had a lot of it, but to shed some light ... on the important food and nutrition issues that we're going to need to address as a nation. We have to deal with these issues. This garden project, what we've done together, guys, has given us the opportunity not just to educate children, but to hopefully even educate a few parents and adults as we go along the way. How many of you have talked to your parents about what you've been doing? How many of you have started talking about fruits and vegetables and eating a bit more? garden to the plate, and how much more delicious fresh fruits and vegetables are when they come straight from the garden. And by making this whole process fun -- and we've got some advantage because we have the White House, right? It's fun being here, right? MRS. OBAMA: These students have learned a little bit. They've told us that they're not only making better choices when they're on their own, but they're also educating their families about how to eat in a healthier way, as well. And this is all great news for us, for this group of kids. But unfortunately, for too many families, limited access to healthy fruits and vegetables is often a barrier to a healthier diet. In so many of our communities, particularly in poorer and more isolated communities, fresh, healthy food is simply out of reach. With few grocery stores in their neighborhoods, residents are forced to rely on convenience stores, fast food restaurants, liquor stores, drug stores and even gas stations for their groceries. These food deserts leave too many families stranded and without enough choices when it comes to nourishing their loved ones. And sadly, this is the case in many large cities and rural communities all across this nation. So we need to do more to address the fact that so many of our citizens live in areas where access to healthy food, and thus a healthy future, is simply out of reach. But I'm happy to report, as well, that many communities are kind of emulating what we've been doing. They've been leading the way, many of them, in taking matters into their own hands and tackling this lack of access on their own by growing and caring for a whole lot of community gardens, just like the one we planted. There are more than 1 million community gardens that are flourishing all around the country, and many of them are in under-served urban communities that are providing greater access to fresh produce for their neighbors. The benefit is not just the availability of fresh produce but also it gives the community an opportunity to come together around gardening and growing their own food and working together towards a healthier community and a better future for their kids. But government also has a role to play in this, as well. For so many kids, subsidized breakfasts and lunches are their primary meals of the day. It's what they count on. It's where they get most of their nutrition. And the USDA's National School Lunch Program serves approximately 30 million meals each year to low-income children. And because these meals are the main source of consistent nourishment for these kids, we need to make sure we offer them the healthiest meals possible. So to make sure that we give all our kids a good start to their day and to their future, we need to improve the quality and nutrition of the food served in schools. We're approaching the first big opportunity to move this to the top of the agenda with the upcoming reauthorization of the child nutrition programs. In doing so, we can go a long way towards creating a healthier generation for our kids. My hope is that this garden ... through it, we can continue to make the connection between what we eat and how we feel, and how healthy we are. " "For the first time, the well-respected Energy Information Administration appears to be joining with those experts who have long argued that the era of cheap and plentiful oil is drawing to a close. Almost as notable, when it comes to news, the 2009 report highlights Asia's insatiable demand for energy and suggests that China is moving ever closer to the point at which it will overtake the United States as the world's number-one energy consumer. Clearly, a new era of cutthroat energy competition is upon us. As recently as 2007, the IEO projected that the global production of conventional oil (the stuff that comes gushing out of the ground in liquid form) would reach 107.2 million barrels per day in 2030, a substantial increase from the 81.5 million barrels produced in 2006. Now, in 2009, the latest edition of the report has grimly dropped that projected 2030 figure to just 93.1 million barrels per day--in future-output terms, an eye-popping decline of 14.1 million expected barrels per day. Even when you add in the 2009 report's projection of a larger increase than once expected in the output of unconventional fuels, you still end up with a net projected decline of 11.1 million barrels per day in the global supply of liquid fuels (when compared to the IEO's soaring 2007 projected figures). What does this decline signify--other than growing pessimism by energy experts when it comes to the international supply of petroleum liquids? 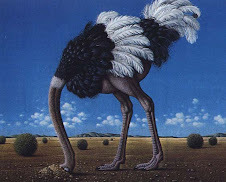 Very simply, it indicates that the usually optimistic analysts at the Department of Energy now believe global fuel supplies will simply not be able to keep pace with rising world energy demands." It became apparent that the solar hot water heater I built from recycled materials had a problem. I noticed that there was always moisture on the lower sides of the tank and a small puddle on the bottom. I gave it over a week to dry but it never did. Obviously, it was leaking. All the plumbing joints were tight so there was some sort of problem inside the tank. I decided to remove the tank and replace it with another recycled one that was in better shape. I closed the valves to remove the heater from the system and was quite excited when I broke the connection on the hot water side at the tank. The water that spurted out was hot enough to shower in! I drained the tank and used the water in the garden. Even the water at the bottom of the tank was lukewarm. This was after only a half day of sun. I'm sure that the constant moisture on the outside of the tank was cooling it as well so I have high hopes for the system with the new tank. On May 13 2009 I posted about the lamentable situation of Monsanto ads appearing on NPR programs. I have received this clarification from the NPR Ombudsman. I very much appreciate this clarification and am gratified to know that NPR maintains it's independent status. "NPR is very conscious of our non-commercial mission, and is not accepting money from, nor has been approached by Monsanto. What you heard on air may have been an underwriting credit from American Public Media, which produces Marketplace, and is running corporate underwriting spots from Monsanto. Local station WAMU has also accepted sponsorship money from Monsanto. But neither of these spots are affiliated with NPR. NPR is an independent, nonprofit organization that carries no on-air advertising. One way NPR funds programming and general operations is through underwriting from corporations and philanthropic support from foundations and individuals. This support provides most of NPR's contributed income. Here's some cheery news to start your day. I got this from the Environmental Defense Fund and find it quite interesting. We really do need to insure that the bill before congress, which is already too weak, is not further weakened by corporate lobbyist controlled legislators. There is a link at the bottom you can follow to take action. "If you aren't sure why global warming is our top priority, please read this email. Moments ago, the White House released a detailed scientific report forecasting devastating impacts of global warming in the United States if we don't take dramatic steps now to cut our global warming emissions. The climate of New Hampshire could resemble the climate of North Carolina. Sea level rise and stronger storm surges could inundate and ultimately flood coastal communities along the Atlantic and Gulf coasts. Higher emissions scenarios would cause a water level drop of 1-2 feet in the Great Lakes, threatening shipping, infrastructure, beaches and ecosystems. Under higher emission scenarios, North and South Dakota, which currently see only a handful of 100-degree days, could see 50 or more days of 100+ temperatures per year. Southwestern forests will be decimated with less water, more wildfires and more invasive pests. Under higher emissions scenarios, California's mountain forests could decline by 60-90%. 100-degree days are rare today in the Northwest. Under higher emission scenarios, much of the region could see 30-40 days of 110+ temperatures per year. Without action, this is the future that awaits our children. We can't let it happen. The good news? The U.S. House could vote on a landmark energy and global warming bill as soon as next week. We're doing everything we can to pass this bill and keep the pressure on the Senate to move a bill of its own. Take action to urge passage of the bill in the House. Forward this email to all your friends and family. P.S. In addition to the human toll, this report reinforces the dire threat American wildlife face in a warming world. Go to our Warming and Wildlife campaign to meet and see seven "ambassador" species that face a bleak future in a warmer world." 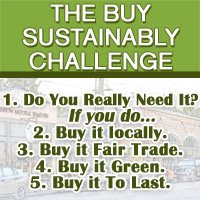 Over on another site where I publish a blog, AltGlobe, I have recently been held up as a model of sustainable living. While flattered I must point out the danger in accepting this accolade. We must guard against the tendency to settle for the lowest common denominator when it comes to cutting greenhouse gas emissions, we simply do not have that luxury! Do you think I'm kidding? Take a look at this post over on Climate Progress detailing the hellish future we face if we don't radically cut emissions. It deals with a new NOAA report assessing the likely impacts of business as usual. Here is an excerpt. "The thermometer in this landmark U.S. government report puts warming at 9 to 11°F over the vast majority of the inland U.S. — and that is only the average around 2090 (compared to 1961-1979 baseline). On this emissions path, the IPCC’s A2 scenario, most of the inland United States will be warming about 1°F a decade by century’s end. Worse, we are on pace to exceed the A2 scenario (which is “only” about 850 ppm in 2100): See U.S. media largely ignores latest warning from climate scientists: “Recent observations confirm … the worst-case IPCC scenario trajectories (or even worse) are being realised” — 1000 ppm.... Much of the southern United States is projected to have more than twice as many days per year above 90°F by the end of this century." We need to decrease our emissions by over 90%. My meagre efforts don't even come close, nor do the outcomes of the current climate bill in front of Congress. Of the facets of my lifestyle that I have direct control over there are still many that are unacceptable if I intend to cut my personal emissions by 90% or more. I still use electricity generated from fossil fuel, unacceptable. I still utilize air travel, even if never for holidays, unacceptable. I still eat substantial quantities of imported food, unacceptable. I still occasionally ride in a fossil fuel powered vehicle, unacceptable. I still occasionally eat meat, unacceptable. There are those who have foresworn all of these activities if not completely then to a much greater degree than I. They are the models not I.
I will continue to report on my efforts to improve my carbon footprint. Plans are afoot to do just that. Meanwhile I urge you to do the same and to lobby congress for ever more aggressive legislation to cut greenhouse gas emissions! Just what is up with this obsession with that most unnatural of monocrop desecrations, the suburban lawn? What could be less green than a lawn? An oil refinery or chemical plant perhaps? probably but not by much as lawns are responsible for huge quantities poison being dumped on the earth and fouling our water ways. A NASCAR race track? Probably but very similar as each and every lawn seems to be responsible for an army of two stroke highly polluting machines wielded by poorly paid workers at least once/week leaving a cloud of toxic gas and many ringing ears from the cacophony. Read more at The Future is Green about the travesty of the modern lawn. 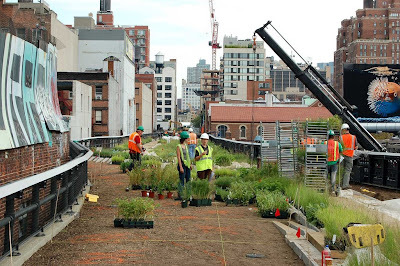 Thanks to the High Line website for the image. Go there for many more pictures of the project. This is an excellent example of re-use of existing Manhattan infrastructure rather than allowing it to be torn down for new construction, "sustainable" or otherwise. Conversion of this derelict elevated railway into a green public space prevents needless further building, preserves access to sunlight by surrounding buildings, and gives the citizens a lovely gathering space high above the congested streets. thanks to Worldchanging for the heads up on this.